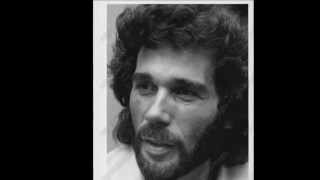 Get Eddie Rabbitt essential facts below. 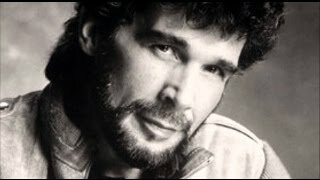 View Videos or join the Eddie Rabbitt discussion. 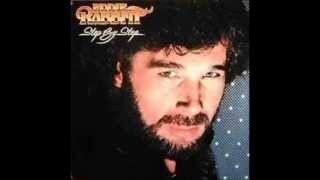 Add Eddie Rabbitt to your PopFlock.com topic list for future reference or share this resource on social media. Edward Thomas Rabbitt (November 27, 1941 - May 7, 1998) was an American singer and songwriter. His career began as a songwriter in the late 1960s, springboarding to a recording career after composing hits such as "Kentucky Rain" for Elvis Presley in 1970 and "Pure Love" for Ronnie Milsap in 1974. Later in the 1970s, Rabbitt helped to develop the crossover-influenced sound of country music prevalent in the 1980s with such hits as "Suspicions" and "Every Which Way but Loose (the theme from the film of the same title)." 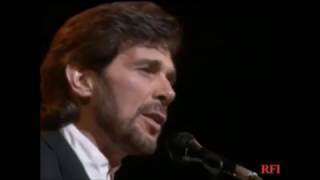 His duets "Both to Each Other (Friends and Lovers)" and "You and I", with Juice Newton and Crystal Gayle respectively, later appeared on the soap operas Days of Our Lives and All My Children. Rabbitt was born to Irish immigrants Mae (ne;e Joyce) and Thomas Michael Rabbitt in Brooklyn, New York in 1941, and was raised in the nearby community of East Orange, New Jersey. His father was an oil-refinery refrigeration worker, and a skilled fiddle and accordion player, who often entertained in local New York City dance halls. By age twelve Rabbitt was a proficient guitar player, having been taught by his scoutmaster, Bob Scwickrath. 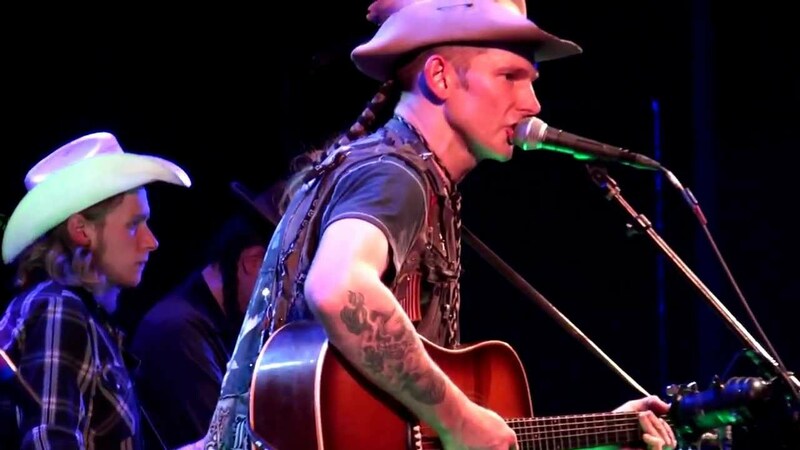 During his childhood Rabbitt became a self-proclaimed "walking encyclopedia of country music". After his parents divorced, he dropped out of school at age sixteen. His mother, Mae, explained this action by saying that Eddie "was never one for school [because] his head was too full of music." He later obtained a high school diploma after taking courses at night school. Rabbitt was employed as a mental hospital attendant in the late 1950s but, like his father, he fulfilled his love of music by performing at the Six Steps Down club in his hometown. He later won a talent contest and was given an hour of Saturday night radio show time to broadcast a live performance from a bar in Paterson, New Jersey. In 1964, he signed his first record deal with 20th Century Records and released the singles, "Next to the Note" and "Six Nights and Seven Days". Four years later, with $1,000.00 to his name, Rabbitt moved to Nashville where he began his career as a songwriter. During his first night in the town, Rabbitt wrote "Working My Way Up to the Bottom", which Roy Drusky recorded in 1968. To support himself, Rabbitt worked as a truck driver, soda jerk and fruit picker while in Nashville. He was ultimately hired as a staff writer for the Hill & Range Publishing Company and received a salary of $37.50 per week. As a young songwriter, Rabbitt socialized with other aspiring writers at Wally's Clubhouse, a bar in Nashville; he said that he and the other patrons had "no place else to go." Rabbitt became successful as a songwriter in 1969 when Elvis Presley recorded his song "Kentucky Rain". The song went gold and cast Rabbitt as one of Nashville's leading young songwriters. While eating Cap'n Crunch, he penned "Pure Love", which Ronnie Milsap rode to No. 1 in 1974. This song led to a contract offer from Elektra Records. Rabbitt signed with Elektra Records in 1975. His first single under that label, "You Get To Me" made the top 40 that year, and two songs in 1975, "Forgive and Forget" and "I Should Have Married You" nearly made the top 10. These three songs along with a recording of "Pure Love" were included on Rabbitt's self-named debut album in 1975. In 1976 his critically acclaimed Rocky Mountain Music album was released, which handed Rabbitt his first No. 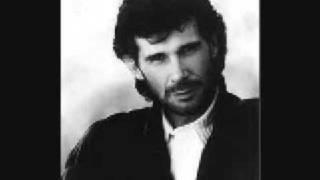 1 country hit with the track "Drinkin' My Baby (Off My Mind)". 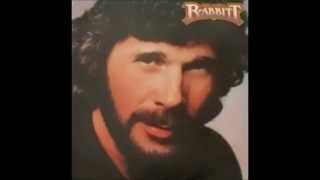 In 1977 his third album, Rabbitt was released, which made the top 5 on Country Albums chart. Also in 1977 the Academy of Country Music named Rabbitt "Top New Male Vocalist of the Year". 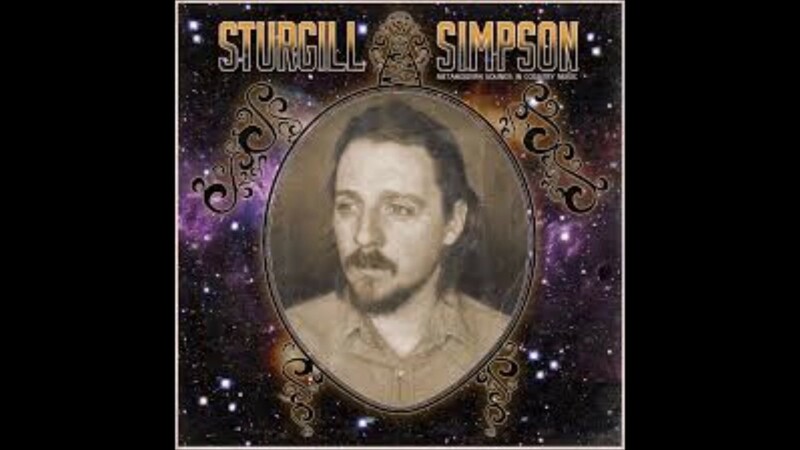 By that time he had a good reputation in Nashville, and was being compared by critics to singer Kris Kristofferson. 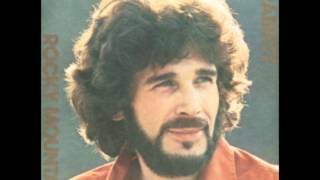 In 1977, at Knott's Berry Farm, Eddie Rabbitt appeared at the CMA and sang several of his songs from the album Rocky Mountain Music. He won the award of Top New Male Vocalist of the Year. 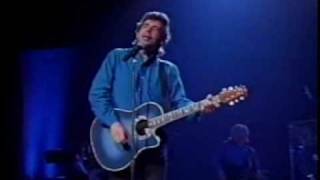 While he was still relatively unknown, Rabbitt toured with and opened for crossover star Kenny Rogers, and also opened for Dolly Parton on a number of dates during her 1978 tour, but soon Rabbitt would himself break through on other charts. 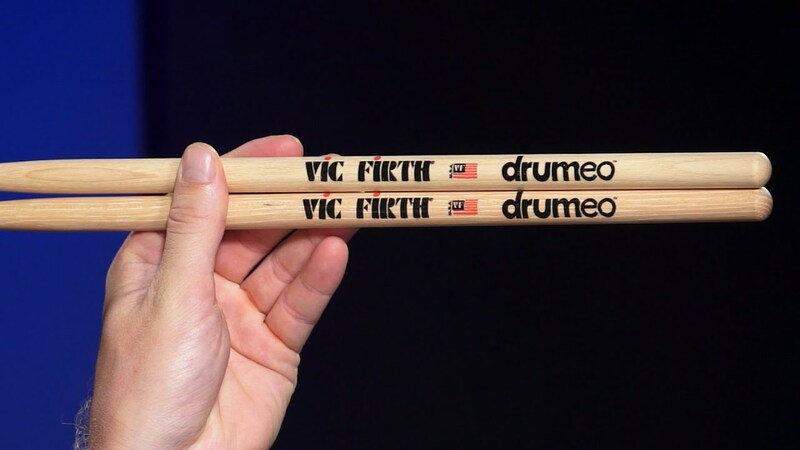 Following the 1978 release of Variations, which included two more No. 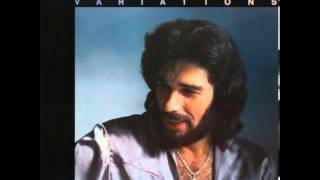 1 hits, Rabbitt released his first compilation album, The Best of Eddie Rabbitt. 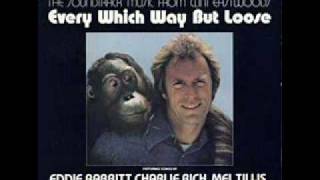 The album produced Rabbitt's first crossover single of his career, "Every Which Way But Loose", which topped Country charts and reached the top 30 on both the Billboard Hot 100 and Adult Contemporary, and was featured in a 1978 Clint Eastwood movie of the same name. The song also broke the record for highest chart debut, entering at No. 18. Rabbitt held this record until it was shared with Garth Brooks at the debut of Brooks' 2005 single "Good Ride Cowboy." The record was broken in 2006 upon the No. 17 chart entrance of Keith Urban's "Once in a Lifetime." Rabbitt's next single, the R&B flavored "Suspicions" from his 1979 album Loveline, was an even greater crossover success, again reaching number one on Country charts and the top 15 on the Billboard Hot 100 and Adult Contemporary. He was given his own television special on NBC, first airing on July 10, 1980, which included appearances by such performers as Emmylou Harris and Jerry Lee Lewis. By this point in his career Rabbitt had been compared to a "young Elvis Presley." Rabbitt's next album Horizon, which reached platinum status, contained the biggest crossover hits of his career including "I Love a Rainy Night" and "Drivin' My Life Away." Rabbitt developed "Rainy Night" from a song fragment that he penned during a 1960s thunderstorm. "Driving" recalled Rabbitt's tenure as a truck driver, and was inspired by Bob Dylan's song "Subterranean Homesick Blues" from Dylan's 1965 album Bringing It All Back Home. His popularity was so strong at this point that he was offered his own variety television show, which he went on to respectfully decline stating "It's not worth the gamble." The release of his 1981 Step by Step album continued Rabbitt's crossover success as all three singles reached the top 10 on both Country and Adult Contemporary charts. The title track became Rabbitt's third straight single to reach the top 5 on Country, Adult Contemporary and the Billboard Hot 100 charts. The album ultimately reached gold status, Rabbitt's final album to do so. 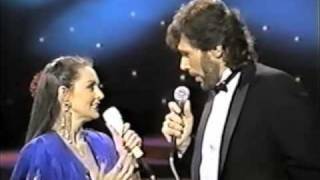 He teamed up with another country pop crossover star, Crystal Gayle, to record "You and I", which was included in his 1982 album Radio Romance. The duet reached No. 1 on the Billboard Country chart and eventually became a large pop smash, peaking at No. 7 and No. 2 respectively on the Billboard Hot 100 and Adult Contemporary chart. The song's popularity reached the point where it was used as a love theme for a couple on the soap opera All My Children. 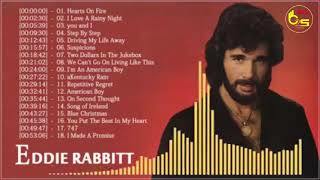 The song "You Put the Beat in My Heart" from Rabbitt's second Greatest Hits compilation in 1983 was his final crossover hit, reaching No. 15 on the Adult Contemporary chart. During the 1980s, Rabbitt moved further from crossover-styled music. His 1984 album The Best Year of My Life produced one No. 1 country hit and three more top 10 country hits, but none of these met any crossover success. The illness and subsequent death of his son put his career on hold following the 1985 RCA Records release Rabbitt Trax, which included the No. 1 "Both to Each Other (Friends and Lovers)", a duet with country pop star Juice Newton. Like "You and I," the song was used as the theme for a soap opera, this time for Days of Our Lives. Rabbitt returned from his hiatus in 1988 with the release of I Wanna Dance With You, which despite somewhat negative reviews produced two No. 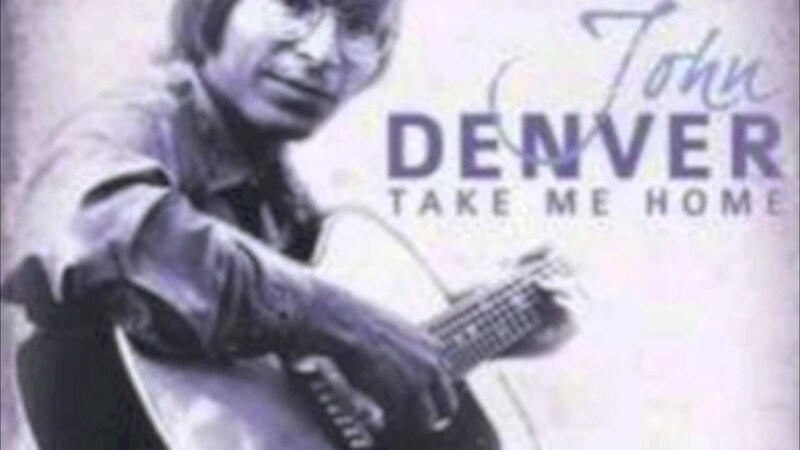 1 songs: a cover of Dion's "The Wanderer" and the album's title track. Additionally, "We Must Be Doin' Somethin' Right" entered the top 10, although the album's final single "That's Why I Fell in Love with You" stalled at #66. 1990 saw the release of Rabbitt's positively reviewed Capitol Records album Jersey Boy and its hit single "On Second Thought", which held as Rabbitt's final No. 1 of his career. The album also included "American Boy", a patriotic tune popular during the Gulf War and later used in Bob Dole's 1996 presidential campaign. Rabbitt was among the many country singers who suffered a dramatic decline in chart success beginning in 1991. That year, he released Ten Rounds, which produced the final charting single of his career, "Hang Up the Phone." Following that release, he left Capitol Records to tour with his band "Hare Trigger." In 1997, Rabbitt signed with Intersound Records but was soon after diagnosed with lung cancer. Following a round of chemotherapy, he released the album Beatin' the Odds. The next year, he released his final studio album, Songs from Rabbittland. Rabbitt used innovative techniques to tie country music themes with light rhythm and blues-influenced tempos. His songs often used echo, as Rabbitt routinely sang his own background vocals. 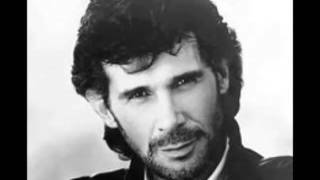 In a process called the "Eddie Rabbitt Chorale," Rabbitt compensated for what Billboard Magazine described as a "somewhat thin and reedy voice" by recording songs in three-part harmonies. His music was compared to rockabilly, particularly the album Horizon, which was noted as having an Elvis-like sound. Rabbitt remarked that he liked "a lot of the old Memphis sounds that came out of Sun Records" during the 1950s, and that he "wanted to catch the magic of a live band." He credited such wide-ranging artists as Bob Dylan, Elton John, Steely Dan, Elvis Presley and Willie Nelson with influencing his works. When putting together an album, Rabbitt tried to make sure he put in "ten potential singles...no fillers, no junk." He remembered listening to albums as a child and hearing "two hits and a bunch of garbage." During the early 1990s, Rabbitt voiced criticism of hip hop music, particularly rap, which he said was sending a negative message to youths. He stated that the music was "inciting a generation" and that it had helped to contribute to the high rates of teenage pregnancy, high school dropouts and rapes during this period. When Rabbitt arrived in Nashville during the late 1960s, a friend gave him a pet chicken. Rabbitt noted that he had "an affinity for animals" and kept the bird for a while before ultimately giving it to a farmer. During his Nashville days in the early 1970s, Rabbitt owned a pet monkey named Jojo. Prior to his Rocky Mountain Music tour, the monkey bit Rabbitt, leaving his right arm in bandages. In 1976, Rabbitt married Janine Girardi, whom he described as "a little thing about five feet tall, with long, black beautiful hair, and a real pretty face." He had previously written the songs "Pure Love" and "Sweet Janine" for her. They had three children, Demelza, Timmy, and Tommy. Timmy was diagnosed with biliary atresia upon birth. The condition required a liver transplant for survival and he underwent one in 1985, but the attempt failed and he died. Rabbitt temporarily put his career on hiatus, stating that "I didn't want to be out of the music business, but where I was more important." Tommy was born in 1986. Rabbitt felt it was his responsibility as an entertainer to be a good role model and was an advocate for many charitable organizations including the Special Olympics, Easter Seals, and the American Council on Transplantation, of which he served as the honorary chairman. He also worked as a spokesman for the Muscular Dystrophy Association and United Cerebral Palsy. Rabbitt was a registered Republican and gave permission to Senator Bob Dole to use his song "American Boy" during Dole's 1996 presidential campaign. Rabbitt was also a fan of Star Trek: The Next Generation and paid a visit to the set during the show's fifth season in 1991-92. Rabbitt died on May 7, 1998, in Nashville from lung cancer at the age of 56. He had been diagnosed with the disease in March 1997 and had received radiation treatment and surgery to remove part of one lung. His body was interred at Calvary Cemetery in Nashville following a private burial on May 8, 1998. 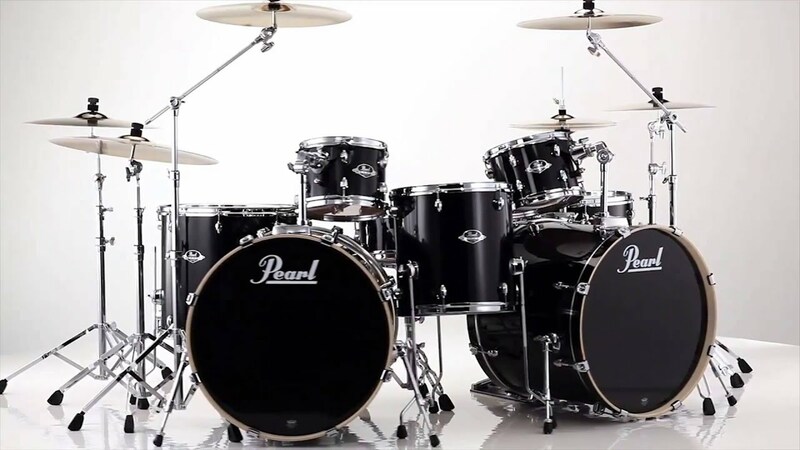 No media outlets reported the death until after the burial at the family's request. The news came as a surprise to many in Nashville including the performer's agent who "had no idea Eddie was terminal" and had talked to him often, remarking that Rabbitt "was always upbeat and cheerful" in the final months of his life. Although he was widely believed to have been born in 1944 (this year can still be found in older publications and texts), it was revealed at the time of his death that he was born in 1941. 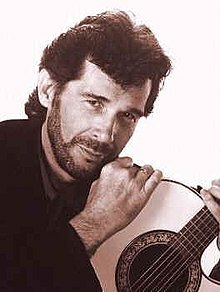 ^ a b " Eddie Rabbitt, 56, Whose Songs Zigzagged From Pop to Country", The New York Times, May 9, 1998. Retrieved November 3, 2007. ^ a b c d e f Wadey, Paul (May 19, 1998). 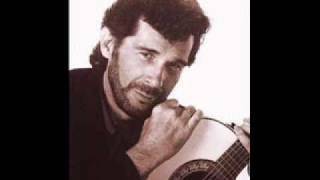 "Obituary: Eddie Rabbitt". The Independent. ^ Star Trek: The Next Generation - 25th anniversary (2012). 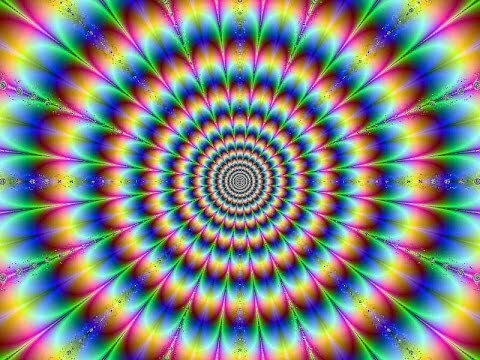 Eddie Rabbit "Driving My Life Away"